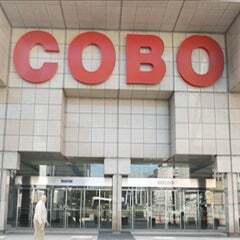 DETROIT, MI (26 September 2011) – lovio george | communications + design has been selected by the Detroit Regional Convention Facility Authority and SMG to provide a brand identity and collateral design for the new Cobo Center, that is undergoing a $300 million renovation and expansion. 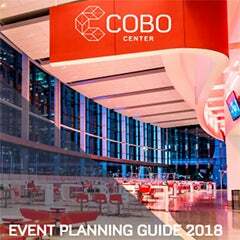 and General Manager of Cobo Center. feet of new exhibition space. team and its impact on the growth of the meetings and convention market,” said Christina Lovio-George, CEO, lovio george. 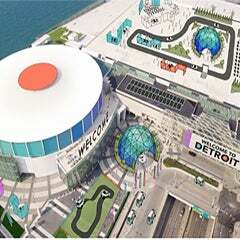 The agency has also branded other Detroit assets such as Cadillac Coffee, Cranbrook, the Detroit Riverfront Conservancy, Detroit Works Project, Midtown Detroit and Super Bowl XL. Located in the heart of Midtown Detroit for 30 years, lovio george communications + design specializes in strategic branding, design, marketing and public relations. They have invested in doing work that matters, from global brands to local favorites.